The Adriatic-Ionian Programme, in short ADRION, belongs to the family of the INTERREG V transnational 2014-2020 programmes part of the Cohesion policy of the European Union whose geography coincides with those macroregional strategies namely EUSAIR – European Strategy for the Adriatic Ionian Region. In 2000 the EU Strategy launched the Adriatic-Ionian Initiative involving eight countries: four EU Member States (Croatia, Greece, Italy and Slovenia) and four non-EU countries (Albania, Bosnia and Herzegovina, Montenegro and Serbia). The aim of this Initiative was strengthening regional cooperation, promoting political and economic stability to creating a solid base for the European integration process. 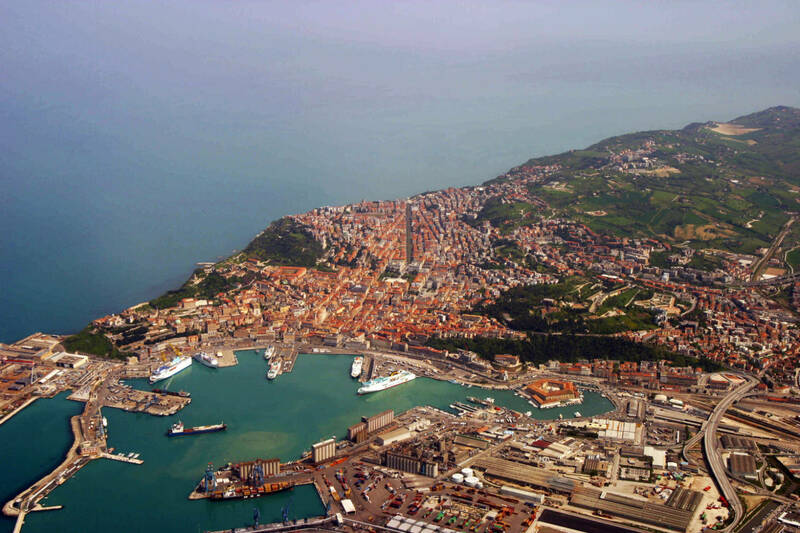 After a decade the European Council of 13-14 December 2012 requested the European Commission to present a new EU Strategy for the Adriatic and Ionian Region (EUSAIR) before the end of 2014. Treasuring the experience from the EU Strategy for the Baltic Sea Region and the EU Strategy for the Danube Region, the Commission adopted on 17 June 2014 a Communication on the EU Strategy for the Adriatic and Ionian region, accompanied by an Action Plan. The Strategy was finally endorsed by the European Council on 24 October 2014. The Adrion Programme has, together with Balkan Mediterranean Programme and Danube Programme, succeeded to South East Europe Programme of the previous programming period 2007-2013. Its aim is to promote sustainable economic and social prosperity of the Adriatic and Ionian area through growth and jobs creation, by improving its attractiveness, competitiveness and connectivity while at the same time preserving the environment and ensuring healthy and balanced marine and coastal ecosystems. The countries participating in it are 8, of which 4 are EU Member States (Croatia, Greece, Italy and Slovenia), 3 are candidate countries (Albania, Montenegro, Serbia) and 1 potential candidate country (Bosnia and Herzegovina). All the participants are involved in their whole territory, except Italy which is interested only in 12 Regions + 2 Provinces, for a total of 31 regions. It is important to note that Adrion geographical area coincides with the one of EUSAIR. The overall programme strategy is formulated in direct response to the EU 2020 strategy of smart, sustainable and inclusive growth and its further revisions; this means that the integration among Member and non-Member states is the aim that the Programme will try to reach by supporting partnerships and increase interactions among stakeholders in the Partner states. The overall Programme budget amounts to EUR 117.917.379 including European Regional Development Fund (ERDF) (EUR 83.467.729), the Instrument for Pre-Accession Assistance (IPA II) (EUR 15.688.887) and national contributions (EUR 18.760.763). A co-financing rate of 85% of ERDF/IPA is applied for projects. Adrion is structured on 4 Priorities: 1) Innovative and smart region; 2) Sustainable region; 3) Connected region; 4) towards a better governance of EUSAIR. They are narrowly interconnected with the EUASAIR 4 Pillars, for instance, Priority 1 on innovation addresses directly Pillar 1 on Blue Growth but also includes elements of the other three pillars, as well as Priority 2 on natural and cultural heritage and biodiversity addresses Pillar 4 on sustainable tourism but also Pillar 3 on environmental quality. Under each thematic objective a list of investment priorities is pre-defined in the Regulation governing the ERDF, reflecting the main challenges Adrion shall face in the future; these are complemented by additional priorities adapted to the specific needs of ETC actions. The basis for the selection of the thematic objective and Investment priorities are: needs identified for the Adrion region, experiences learnt from the previous programming period, the complementarity with EUSAIR and other Macro-regional stategies, regional and thematic programmes. The Cooperation Programme, the elaboration of which has started on april 2014 and carried out by a Task Force, has been submitted once in December 2014 and, after the remarks from the European Commission, lately on june 2015 for its final approval. The Programme was approved on the 20th of October 2015.